Scottish-born Fenella Doorn rules like a queen over a privateer's haven on the Isle of Sark. Her success at salvaging crippled vessels affords her gold and security, and it is on one of these ships that she meets wealthy Baron—and privateer—Adam Thornleigh. Secretly drawn to him, Fenella can’t refuse when Adam enlists her to join him in war-torn Brussels to help find his traitorous wife, Frances—and the children she’s taken from him. But Fenella’s own bold actions have put a price on her head. Now Adam and Fenella’s lives are in peril as they race across Europe in an attempt to rescue his young ones, defend the crown, and restore the peace that few can remember. I am always on the lookout for historical settings that involve by heritage. The Queen's Exile fit that bill nicely, though I did not realize until I started reading. 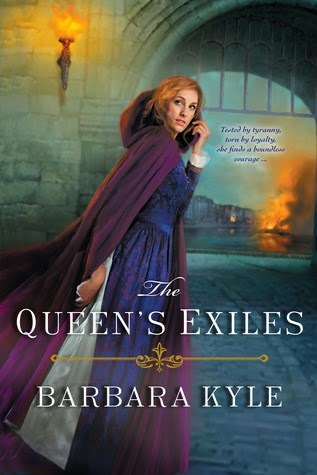 This is the 6th installment in Barbara Kyle's Thornleigh Series. I didn't read the synopsis when this book became available, I've really enjoyed this series and knew I would continue with it. Robert Thornleigh just wants his children back, his wife fled England years ago with them after a failed attempt on the Queen's life. Times were very treacherous as the Spanish were a brutal bunch. I knew nothing of what took place in the Netherlands at the hand of Spanish, the name Alba meant nothing to me. This was a terrifying and brutal time for the Dutch. The author wrote vivid scenes that left no doubt how barbaric Alba and his forces were. Again Barbara Kyle had me captivated right from the beginning. Here writing style makes it easy to get lost. Her knowledge of the time period is evident. I truly respect the amount of research that has gone into this series. 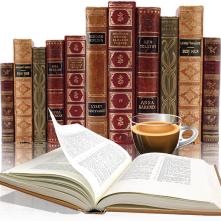 Though the last few books revolve around Queen Elizabeth's reigh in England the story line reaches to various locations and real historical figures. These locations are unique and revolve around real historical events, which is what I love about this series. There is variety and not the same Thornleighs in each book. I love strong women in history, independent, ahead of their times. Which is what Fenella was, though fictional, I really liked her, she had passion, drive, caring and honored her commitments. With Robert one couldn't help feel sympathy for him and feel his passion and desperation to find his children. As with all her books you can read as stand alone, but I highly recommend starting at the beginning with The Queen' Lady (you won't be disappointed). On May 26th the 7th installment (I hope it isn't the last), The Traitor's Daughter will be released, I am reading it right now so be lookout my review.